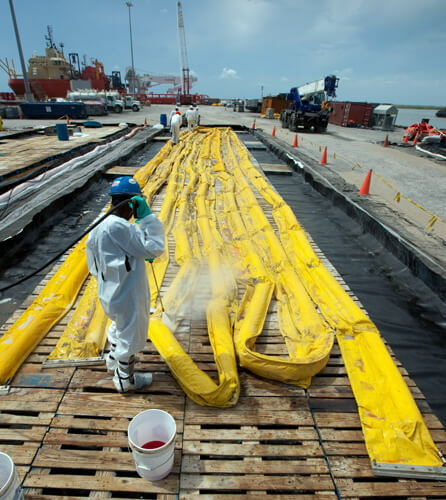 Ultimate Washer can provide various products needed in a response to oil spill cleanup. We have provided this page to help those needing supplies easily identify what we can offer. 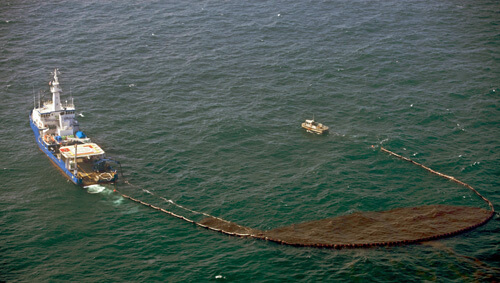 Our company can provide most items needed to protect wildlife and our environment from the oil spill. Cleaning contaminated boom using a pressure washer and a containment pad. Water is treated using a Wastewater Treatment System. Setting up water dams to protect shoreline. Aerial cleanup using system boom. *** thumbnail images shown above are © BP p.l.c. All your safety concerns from first aid kits, safety cones, water tight suits, boots, gloves and more can be found here. Protect valuable workers on the job site and keep risk down. Use the intensity of a zero degree spray pattern for maximum cleaning efficiency, while covering a wider area with a 25 degree rotating spray. This tool will allow for faster cleanup. Can be used for vertical and horizontal surfaces. High and low pressure hoses for use with pressure washers or rinsing down with low pressure. High pressure hoses available for 1,000 to 40,000 psi. Use in low pressure hoses in connection with water brooms or to supply your pressure washer. These handy tools can be attached to the end of the pressure washer lance for cleaning a wide surface area or containment pad. Low pressure water brooms also available to connect to a standard garden hose where no pressure washer is available. Great for push debris or caked on muck. Cover large areas quicker and greatly increase productivity. Surface cleaners can provide good intensity at the surface and some models also provide a recovery port to connect to a vacuum to pick up the water you are cleaning with as you move along the flat surface. Supply power to your remote locations with 1,200 watts to 461kW with either a portable generator or larger diesel powered generator sets. Great for power needs ranging from lighting, refrigeration, or for powered other heavy equipment needing electricity. 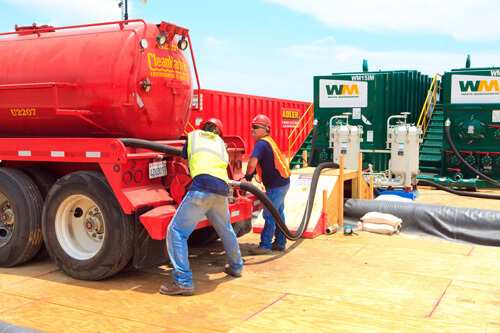 Various containment pad, collapsible tanks, and portable water storage tanks can be used either to wash down dirty equipment or to provide remote water source for supplying pressure washers. Various vinyl types available to include FDA rated material for use with potable water. Various tools for collecting and moving waste water to include vacuums, squeegees. Effectively remove water from one area and take it to another site. Models include gas or electric driven models. Water quality testing kits can also be found here. Choose from an assortment of gasoline or diesel powered water and trash pumps. These workhorses are designed to move large amounts of water quickly or to drain areas fast. These pumps are small and portable or trailer mounted for larger variations that can move up to 1200 gpm. Compact and economical units that can clean effectively and are easily maneuverable in tight areas. Gas, diesel, or electric units available. All units have chemical injection systems that can apply any of the chemicals we offer, which are biodegradable and eco-friendly. We also offer models capable of drawing from a pond, lake, or ocean and self prime. Make use of hydraulic power to drive these pressure washers for an economical solution for pressures between 2000-4000 psi. The units are very light in weight and easily transportable. Portable design coupled with hot water in some cases to maximum of 180-250 degrees. Great choices for emulsifying grease and oil with combined cleaning power of high pressure. These hot water units range from 3000-6000 psi and are on either a single or dual axle trailer. All units come with large capacity hose reels to reach distant areas where you cannot bring the unit too. Large supply tanks allow for remote water supply if no water supply is available. What happens after a spill occurs? Oil spill can occur due to a number of reasons. Mishandling of oil pipes resulting into accidents and unavoidable events like weather and earthquakes are mostly the major cause of oil spillage. Wild life gets affected through oil spills in a number of ways. But because of the active participation of scientists and ecologists the recovery time is at times fast. When oil spillage starts the oil usually floats and spread out into a very thin film on the water surface as it is lighter than water. Oil slicks result from gigantic oil spills year after years. Oil slicks are intricate to control or contain and exigent to clean up. It is very rare for oil to sink. Heavy particles such as sand, algae or silt are required to oil so that it can sink. When there is an oil spillage; oil spill cleanup is necessary to be done. 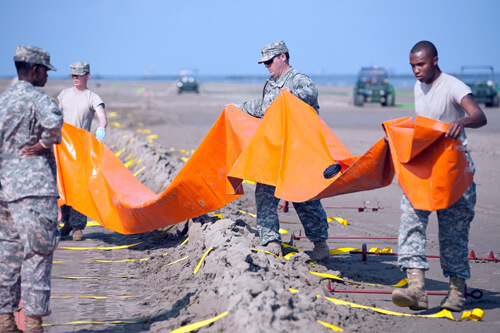 The response teams immediately protect the area with floating barriers that are called booms. Special detergents are used to cleanup birds and fur bearing mammals in order to help wildlife. The containment and recovery technique is widely used mostly because of its least destructive features. By using this method oil is surrounded through the help of booms. Booms are available in different sizes and features. They can clean up the oil efficiently and are simply maneuverable in tight areas. Gas, diesel, or electric units are also available with chemical injection systems that can be relevant any of the chemicals. Skimmers can be used to separate oil from water by different ways like using unifying force in which water is heavier than oil by spinning out additionally so the oil can be pumped out, lifting oil on a conveyor belt i.e. a moving belt that transports objects off the water surface or to drench out the oil that stick to oil-attracting rope mops. Dispersants are chemicals that work like detergents to break oil up into tiny droplets to weaken the oil's effect and move the oil from the water surface. Dispersants are sprayed through Chemical Injectors. Chemical Injectors: Chemical Injector Kit comprises of soak suction filter, clear tube, adjustable knob, and injector and connect couplers. Injector comes in two categories, upstream and downstream. An upstream injector is installed on the inlet side of the pressure washer pump system in order to spray dispersants with high pressure. A downstream injector is installed on the outlet side of the pump for low pressure dispersants. High pressure hosing is used to douse oil back into water to be skimmed up. Absorbent sponges made from diaper-like substances can be used to remove oil. Sorbent materials are spread upon an oil slick or spill and left to float along its surface until they become saturated with oil and then disposed off. Burning for oil spill cleanup purpose is usually 95-98% effective, but causes black smoke. Bioremediation is an economical and safe method for cleaning up oil spills. It’s done through enhancing natural biodegradation by natural oil-eating bacteria by providing them with needed fertilizers or oxygen, but it is not common.